In the 30 years scientists have mapped the Gulf of Mexico dead zone, it has grown in average size and environmentalists complain there has been little effort to solve the problem. 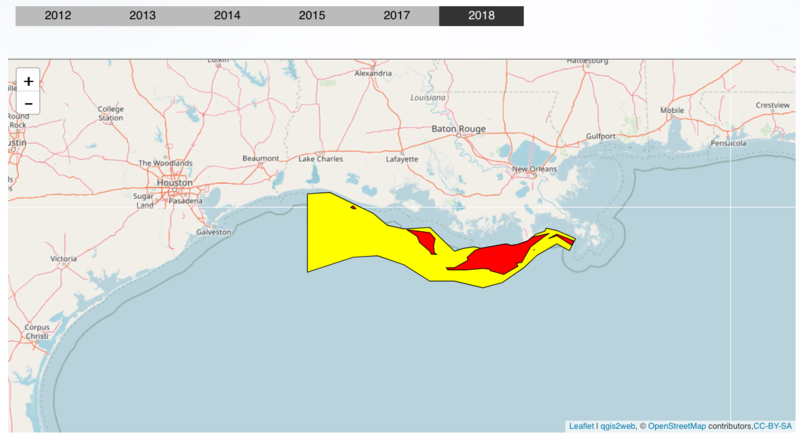 This year’s area of low- to no-oxygen in the Gulf covers some 5,000 square miles, below the average for the past five years but still more than two times larger than the goal envisioned by a task force studying the issue. 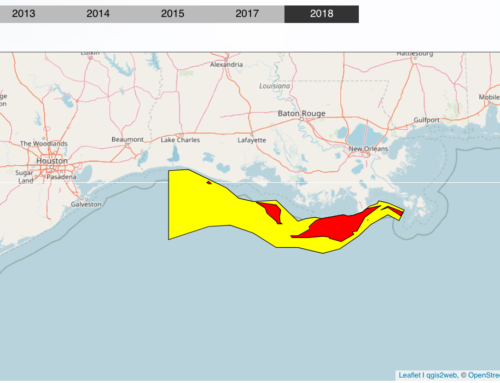 The dead zone forms off the coast of Louisiana each summer from excess fertilizer from Midwest farms and cattle pastures washing into the Mississippi River and eventually making its way into the Gulf. The nitrogen and phosphorous fertilizer, coupled with the warm summer sun, trigger an explosion of algae growth that sinks and decomposes, consuming most of the life-giving oxygen in the water. Oxygen-starved waters create an inhospitable area that forces organisms, especially bottom-feeders such as crabs and shrimp, to flee or die. 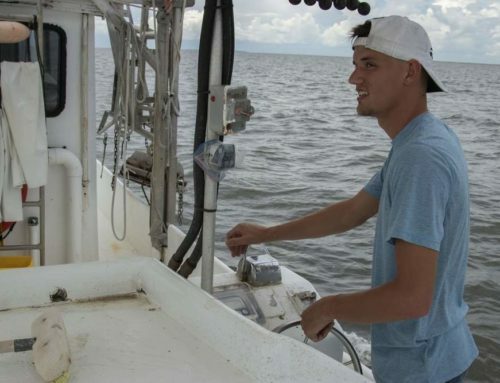 “So deepwater shrimpers go out and fish, but they can’t fish those areas. And not only commercial, recreational fish are going to change their patterns and move to different places. 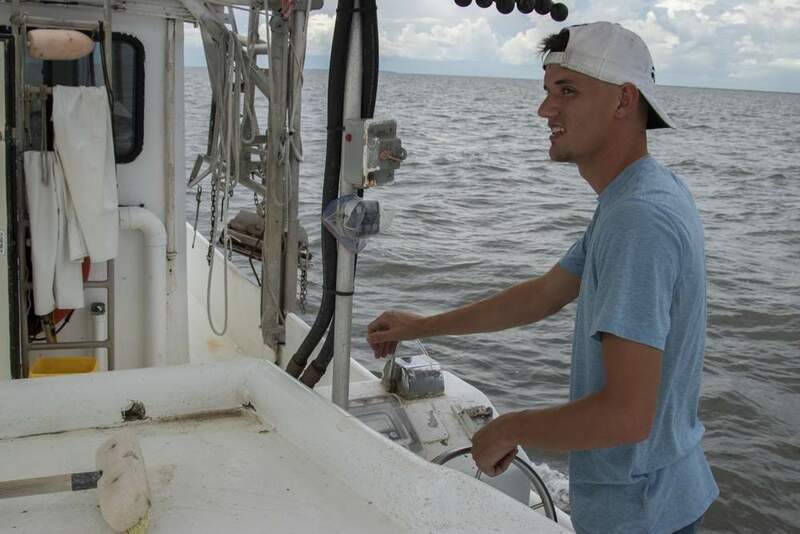 That affects the charter boat captains and the people who go out to do recreational fishing,” said Andrew Barron, water quality program director for the Barataria-Terrebonne National Estuary Program. 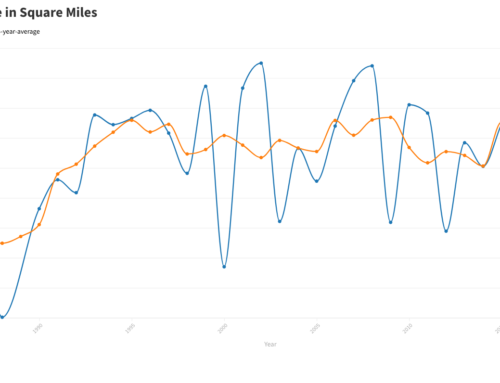 The zone was first mapped in 1985 when it encompassed 3,775 miles. This year it was mapped to cover an area comparable to the size of Connecticut. 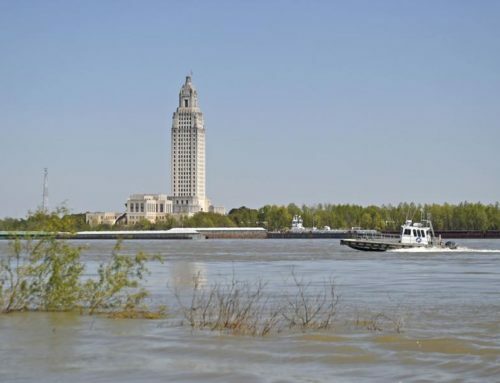 Gene Turner, a dead-zone expert and faculty member at Louisiana State University, said there is some evidence that the system is becoming more sensitive to the pollutants that cause the oxygen-starved area. In other words, the same amount of nitrogen pollution is causing “a little larger” zone each year. “There has been no movement to reducing the size of the zone. That would require less nitrogen and phosphorus coming down the river. That hasn’t happened,” Turner said. 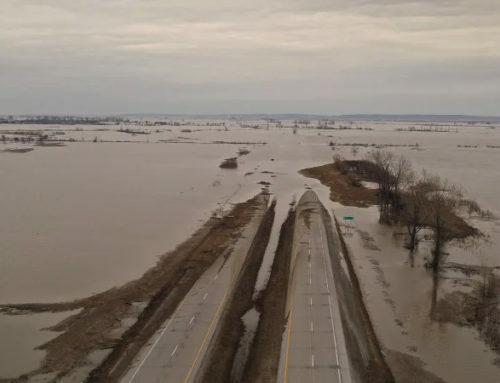 Complicating the effort to find solutions is how land in 31 states drain into the Mississippi River and the need to protect agricultural interests. 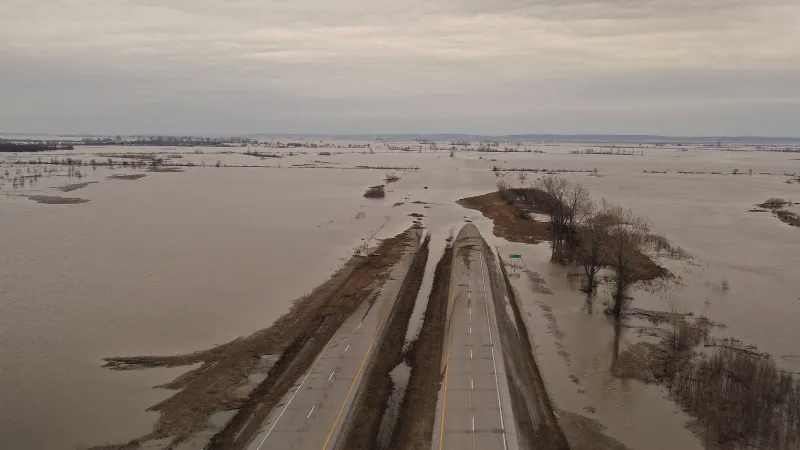 Environmentalists and scientists complain that the Gulf of Mexico-Mississippi River Watershed Nutrient Task Force has show little to no progress since it began in 1997 with the aim of reducing the dead zone. The 2008 action plan for the task force, which is headed by the U.S. Environmental Protection Agency, was to reduce the five-year average area of the dead zone to less than 2,000 square miles by 2015. 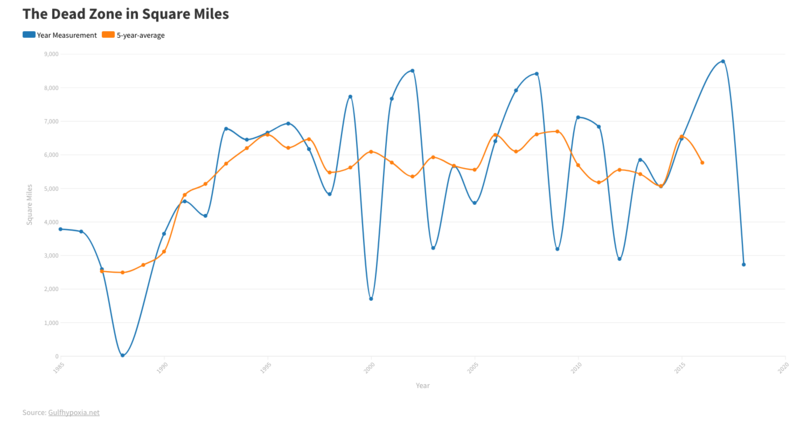 But at no point in the past four years has the dead zone covered less than 2,800 miles. The plan relies on voluntary incentive programs to reduce pollution. Daigle said some programs have shown promise, but more money is needed to implement them on a large scale. Others feel the onus should be on federal regulators to set limits for how much pollution runs into the watershed. Environmental groups such as the Gulf Restoration Network successfully sued the EPA to determine whether setting pollution limits is an appropriate track. EPA’s appeal is now being processed. Rota said Louisiana and upstream states should have already created measurable criteria for how much phosphorus and nitrogen should be in the watershed to reduce the dead zone. He also criticized the state for its resistance in adding dead zone waters to its impaired waters list, which triggers a mandatory state response. The EPA has overruled the state’s attempts to not list the zone as impaired. A statement from the state Department of Environmental Quality notes that any reduction to the dead zone must come from the national level. The statement noted the state has instituted “nutrient management efforts” that include planned river diversions. In February, the Louisiana Attorney General, along with several other Attorneys General filed a “friend-of-the-court” brief, opposing a dead zone pollution clean-up plan for Chesapeake Bay, despite support from states that would be impacted by the plan. "What I can infer is they are afraid that a cleanup plan gets implemented well in Chesapeake something would then be developed for the Gulf," Rota said. "I see the Attorney General doing this and what I feel the state should be doing is telling the states above us ‘stop polluting or we are going to sue.’ Instead we see them supporting the exact opposite." Barron noted the complexity of the watershed system, the sources of pollution and the governing regulations puts any simple solution currently out of reach. "It involves the question of the cost of producing food and that includes environmental costs," Barron said. "It’s something we need to be evaluating that it is a big problem for the Gulf of Mexico." In the meantime, Turner said federal budget cuts have put future mapping in question. It’s iffy right now. It was iffy this year, but next year it is going to be difficult," Turner said.